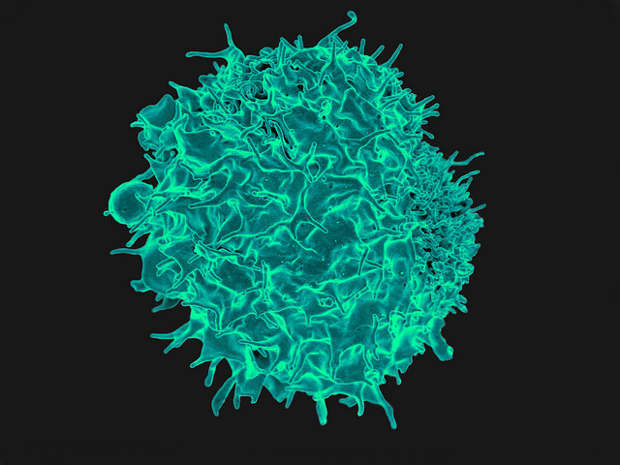 T lymphocyteFLICKR, NIAIDResearchers at the University of Pennsylvania are hoping to use the CRISPR gene-editing technology to modify T cells isolated from cancer patients before reinjecting the cells as a form of immunotherapy, according to a blog post by Carrie Wolinetz, associate director for science policy at the National Institutes of Health (NIH). 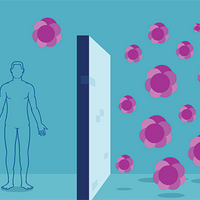 Specifically, the Penn team aims to edit two T-cell genes: PD-1, which suppresses the cells’ attack on tumors, and a receptor that can boost the immune system’s ability to fight the cancer. The proposed study will be reviewed by the federal Recombinant DNA Advisory Committee, MIT Technology Review reported. Two other precision gene editors, TALENs and zinc finger nucleases, are already being tested in the clinic, STAT News reported. 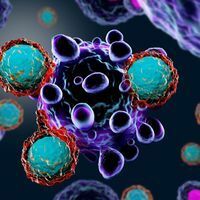 Last year, researchers used TALENs to modify T cells for the treatment of leukemia in a British toddler, and Sangamo BioSciences’s therapy based on zinc-finger editing is currently yielding promising results in an advanced trial for people with AIDS. 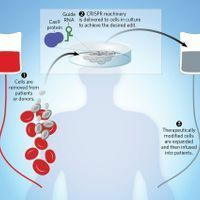 Update (June 22): Yesterday the National Institutes of Health advisory panel approved the University of Pennsylvania team’s proposal to use the CRISPR-Cas9 system to edit patients’ T cells for the treatment of certain cancers. The vote was unanimous, with one member abstaining, The Washington Post reported. The researchers must now seek approval from the US Food and Drug Administration to proceed with their study.